Map - See Snowy Mountains Map NSW - Snowy Mountains Weather Updates. Known for its skiing in winter, but the region is popular the year round as it also has great fishing, hiking and watersports. The crisp high country air, spectacular mountain peaks and the crystal clear streams all add to its attraction as a holiday destination. To the southwest of Canberra ACT, the highest mountains in Australia are situated here but it also has wild forests with beautiful lakes, rivers and streams including the Snowy River. See more on Canberra ACT. The winter season here can begin in mid May and can last up to the middle of October. The best time to visit this region for eco-tours and bushwalking would be Spring, Summer and Autumn. Spring brings the wildflowers, winter here is for the skiiers and those that love wintersports. At the Thredbo Village Resort, there is a world class giant slalom course. You can hire skis, other skiing equipment, sleds and also get instruction. The ski lift that operates all year round will take you to the top of Mt. Crackenback. Perisher is also popular as a ski resort, there you can hire skis and take instruction with reliable snow cover in winter. It is in fact, the largest collection of snowfields in the Southern Hemisphere. Mt Kosciuzko, the highest mountain in Australia, is at the Kosciuszko National Park at 2228 metres above sea level. The park offers great hiking and climbing. 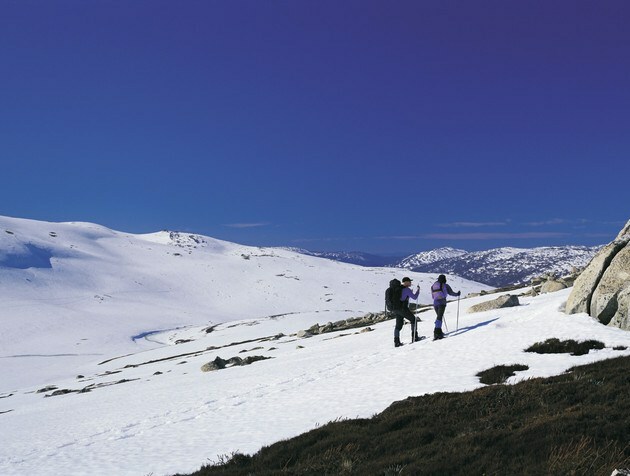 Mt Kosciuszko National Park is the largest natural park in NSW. One needs to be aware of the requirements of Alpine hiking and climbing by not hiking alone. You will find some of Australia’s best scenery here, the vast wilderness areas have been set up to protect many varied flora, fauna and birdlife. Wedge tail eagles can be seen hunting their prey, emus, cockatoos and the ever present magpies can be easy to spot. During the spring, wildflower growth is prolific while year round the animals include kangaroos, possums, wallabies and wombats. They are just some of the varied protected wildlife to be found here, including those that are unique to this part of the world. The Yarrangobilly Caves, located at the northern end of the park is a world class attraction. The caves, 70 in all, are formed in the limestone from the ocean beds that were here more than 40 million years ago, when the earth’s crust here rose more than 1200 metres. You can visit 6 of these caves, they have underground pools, unusual formations and shapes of limestone, staglacites, staglamites and waterfalls, frozen. You can even enjoy a swim in the artesian pool that is naturally heated to 27 degrees. The snowfields of the Snowy Mountains Snowy Mountains NSW Snowfields. Check the weather before hand - do not go hiking or trekking in bad weather. See Weather Snowy Mountains NSW. Phone the Snowy Region Visitors Centre at 6450 5600 for more information, hiking or snow conditions and maps. Inhabited by aboriginals for thousands of years and later by farmers and ranchers in the 1800s. The discovery of Gold at Kiama led to a boom of settlers and gold diggers, with the popularity of skiing here soon to follow. In 1949, as part of the post war rebuilding of Australia, the Hydro-Electricity Scheme was launched to provide power to the states of Victoria, New South Wales and South Australia. The lakes of Eucumbene, Jindabyne and Khancoban Pondage as well as the Snowy River and the streams leading up to it provide excellent fishing, especially trout. Another great way to explore this region is to take a white water raft ride through the stunning areas of Kosciuszko National Park. There is horse riding available and hiking through the mountains is something you will never forget. Other activities to do while here: Climbing and bushwalking are popular during the warmer months being replaced by ski-ing, snowboarding and every snow winter sport imaginable in winter. There is also white-water rafting, fly fishing, sailing, water sports, boating and cruising. Remember to get local advice, especially weather advice before setting out. See the Snowy Mountains Weather and Forecasts. The fresh mountain air and views can make food taste better! There are plenty of eateries and restaurants to accommodate even the most discerning palate. There are numerous camping spots and some caravan parks along the major roads. Cooma, some 416 kms from Sydney, is at the beginning of the region and a popular tourist centre with a wide variety of accommodation and places to stay. 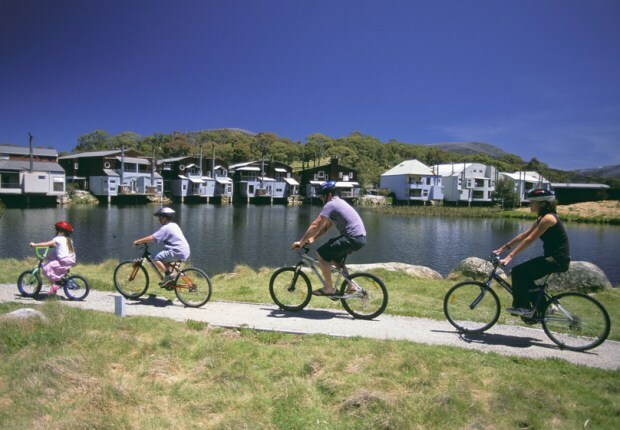 At Thredbo and Perisher Valley, there is world class accommodation as they are resort areas. Jindabyne has self contained apartments, hotels and motels. You can find also find ski lodges in prime locations and cosy cabins with easy access to the snowfields. Needless to say, in winter time, be sure to book ahead. 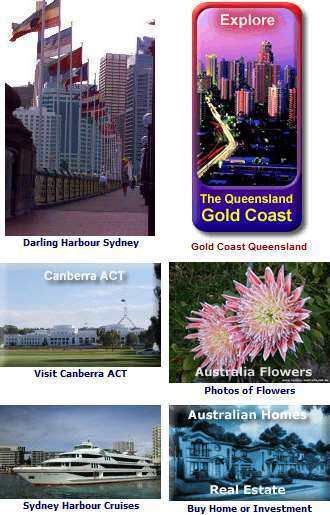 Locate suitable accommodation in the Snowy Mountains Snowy Mountains Hotels and Accommodation NSW. View NSW Accommodation. Note: Popular misspellings of the name Kosciuszko National Park include Kosciusko, Kosciuzko, Koziusko, Kosiosko, Koscusko, Kociosko and Kociusko - go figger. Explorer, scientist and humanist, Sir Paul Edmund de Strzelecki, gave it the original and correctly spelt name. Locals have been known to call it ‘ Kossie ’ and refer to the region as the Snowies. You can head from the Snowfields to the beautiful Sapphire Coast with its stunning beaches and National Parks in a matter of hours Touring the South Coast NSW. Explore the Victoria High Country Snowfields High Country - Victoria Snow and Alpine Eco Paradise. The Snowy Mountains map shows National Parks, towns and places of interest, including Perisher Village, Thredbo village, Mount Kosciuszko and the Selwyn snowfields. 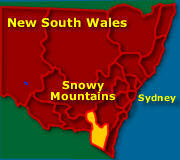 Map - See Map of the Snowy Mountains NSW.